When you live the rodeo lifestyle, you have to be prepared to spend every other weekend on the road during the season, which means putting upwards of 40,000 miles on your truck and trailer. 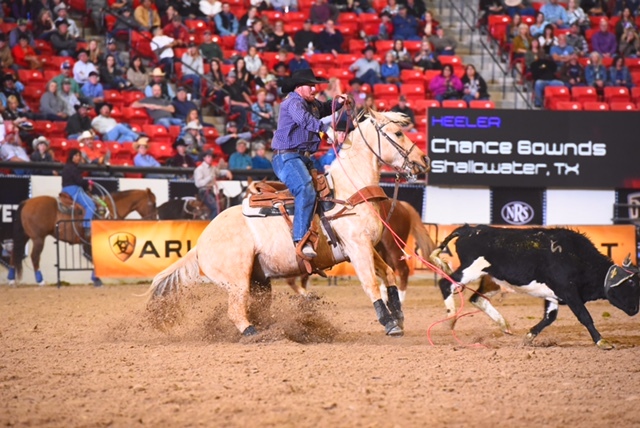 Chance Bownds, a team roper from Texas, knows this lifestyle well. 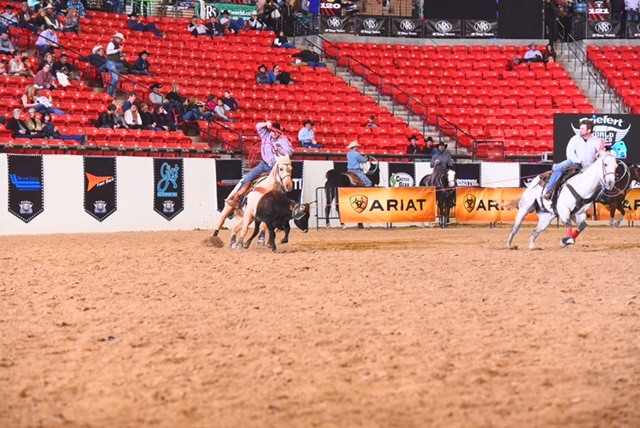 If you were to ask, he’ll tell you that he’s been roping since before he could even walk, raised by a team roping father and a barrel racing mother. The sport has been in the family for a long time. When Chance took up roping, there really was no looking back. From the junior rodeo in high school to signing to his college’s rodeo team, and he’s still roping in 2017, where he’s found himself a full-time roper, getting ready to start his next season. With a full-time commitment to the sport, there’s a necessity to have all the right tools to succeed. 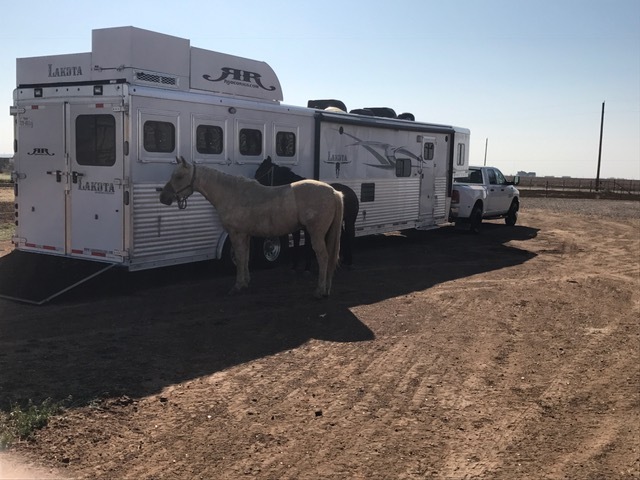 For Chance, that’s a 2016 RAM 3500 and a 42-foot, 19,000 pound horse trailer, complete with living quarters, a slide out, and a 50 gallon holding tank. The two together were a huge investment, but Chance’s RAM just couldn’t seem to handle the weight it put on the rear suspension. Even with the stout factory suspension, he experiences lots of problems while towing. He found his tires wearing unevenly in the front, and was often white-knuckling as the truck jerked and bottomed out under the weight of the trailer. The whole setup just wasn’t stable and was consistently rough, even on the highway. Chance started looking for ways to make it less stressful to get between shows, looking for a solution less expensive than upgrading his truck to a $100,000 mini semi. A few of his friends in the rodeo circuit pointed him in the direction of air helper springs, something that they use on their own trucks. After a quick visit to Desert Customs in Lubbock, TX, he was steered in the direction of Air Lift products. Some research on the company website lead him to the LoadLifter 5000 Ultimate, and he was quick to purchase a system for his RAM 3500. He was all ready to hand his keys over and have the system installed for him by one of Air Lift’s Authorized Installers, but Air Lift’s handy installation videos gave him the confidence to do the install himself. After 2 quick hours, the installation manual and YouTube videos walked him through the process and he was ready to tow. The change in the truck since installing the LoadLifter 5000 Ultimate? Last year, Chance took his truck, equipped with Air Lift’s LoadLifter 5000 Ultimate, throughout Texas, Oklahoma, and New Mexico, including a 15 hour trip to Las Vegas for championships. All of us at Air Lift look forward to seeing what 2017 brings and wish him the best of luck. Special thanks to Chance Bownds for sharing his #lifeonair with us!